Chinese SUV maker Haval is embarking on a charm offensive to woo more Australians into considering a Chinese SUV. The company has commissioned a local advertising firm to create a multi-media marketing campaign to expand its visibility Down Under, even though it has no plans to release a new model here before 2021. Part of the Great Wall Motor group, Haval sits on the fringes of the local vehicle market with its affordable but ageing range, which includes the uninspiring Haval H6 medium SUV, the H4 crossover and Toyota Prado-rivalling H9 large SUV. The company logged just 633 sales last year in total. It’s a different story in China, where the company has already become the country’s number-one SUV brand with more than 850,000 sales in 2018, on the back of its vastly improved second-generation medium SUVs including an all-new H6, the F7 and the stunning Wey VV7 premium SUV. The inexplicable decision not to produce any of these models in right-hand drive, though, means that Haval Australia will have to wait for either the third-generation H6 or second-generation F7 before it can offer anything capable of taking on the likes of the Mazda CX-5 and Toyota RAV4. Haval has conceded that won’t happen for at least another two years, with the company still deciding which of the next-gen H6 or F7 will be offered to right-hand-drive markets. While that seems like a long wait, it does give time for the brand awareness campaign to sink in, allowing Haval Australia to hit the ground running when the first new model finally does arrive. It also gives sister brand Great Wall Australia an opportunity to market its new ‘Adventure’ dual-cab Ute (below), which is being revealed at the Shanghai motor show this week and is due to arrive in late 2020. The executive director at the advertising firm charged with turning around Haval’s image, Damian Royce of Havas Melbourne, said one of the main goals of the campaign will be to “tackle the internal debate people have when considering something new over what they’re used to”. He said the campaign, which commences next month, will also present Haval as offering good value rather than simply being cheap while emphasising the number of well-respected brands that provide components for its “internationally engineered cars assembled in China”. Both Royce and Haval Australia admit they have a big challenge ahead of them to win the hearts and minds of Australian consumers, but believe the job will become easier once head office chooses a new medium SUV for the Aussie market. That will be a choice between the third-generation H6 or second-generation F7, both of which are yet to be unveiled. What we do know is the chosen car will be built at Haval’s new factory in Russia, which would isolate it from any spikes in Chinese production demand. 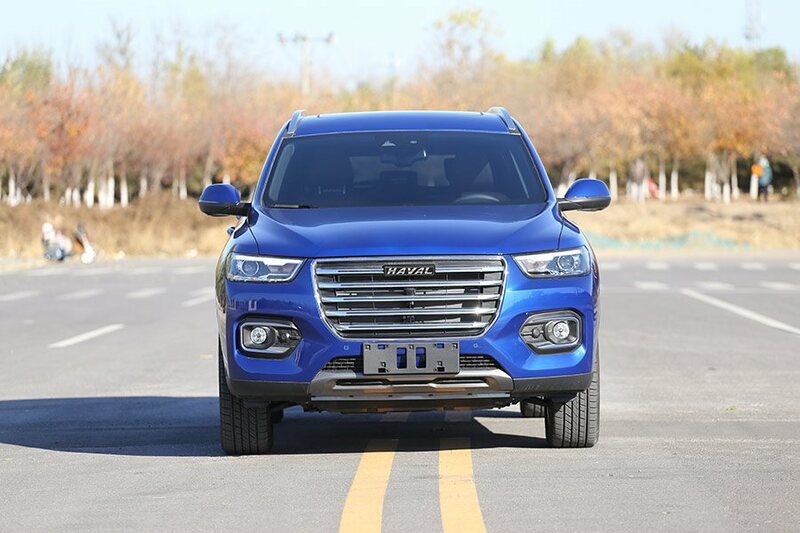 ufcnancy sampled the current Haval range at its vast proving ground in Baoding, China and found the company has come leaps and bounds since being formed in 2013. While having limited opportunities to drive each model, it was immediately obvious that the 2.0-litre turbocharged F7 stood out as the one best suited to Aussie needs and tastes. ufcnancy understands that this is also Haval Australia’s preferred option. Going by the current models, the F7 is sportier than the more conservative second-generation H6, with a sleek, clutter-free and well-considered cabin design, with both cars offering an excellent driving position, comfortable rear seats with plenty of legroom. The F7 will also have a BMW X4-like coupe-styled SUV called the F7X which is also being launched at Shanghai this week, though it’s still unclear if this will be available in Australia. Both F7 variants are equipped with a new 2.0-litre turbo petrol engine and seven-speed dual-clutch automatic gearbox that provides more grunt than the second-gen H6’s 1.5-litre 145kW/285Nm turbo four. It’s likely that powertrain will carry over to the second-generation F7, which Haval says would undergo an extensive local tuning program for the Australian and New Zealand markets. A Haval spokesman told ufcnancy the new F7 is also likely to incorporate design elements from the head-turning Wey VV7, penned by former Land Rover styling director Phil Simmons who is now Haval’s global design director. His background is evident when comparing the VV7’s silhouette with the Range Rover Velar. Unfortunately, Haval has no plans to produce a right-hand drive version of the VV7, which will soon be introduced to the US and European markets.